Publishing OER materials in multiple modalities | Clarity Innovations, Inc. Solving the user experience and instructional design challenges of publishing a curriculum for both print- and digital-based classroom instruction. 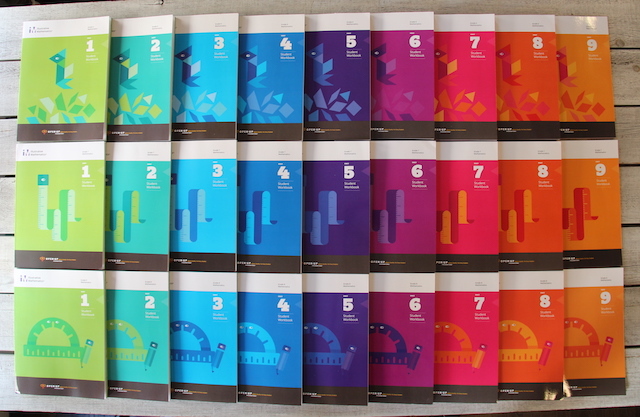 With funding secured from several foundations, Open Up Resources commissioned the creation of a full scope and sequence curriculum for mathematics in grades 6-8 aligned to the Common Core State Standards, but the "last mile" problem of Open Educational Resources (OER) remained: how do these resources get distributed and used in different modalities and instructional contexts? 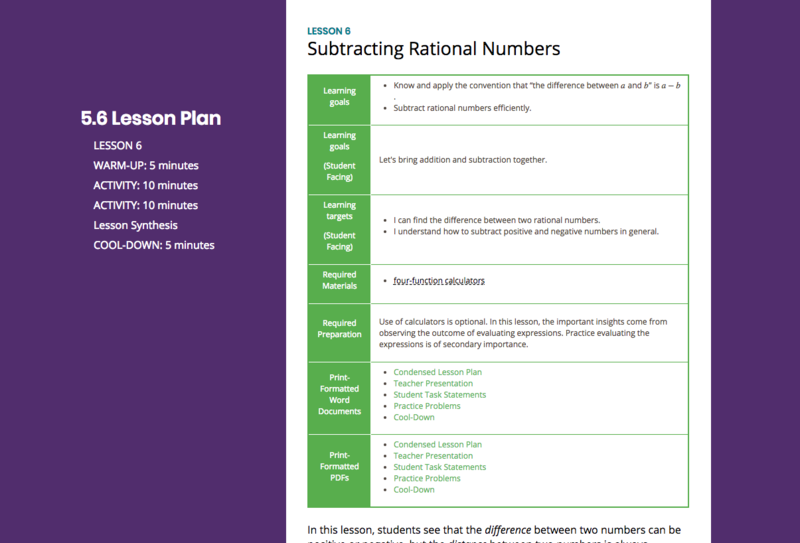 Impressed with the solution Clarity created in the pilot phase to create an interactive EPUB, Open Up Resources asked us to provide the design expertise for the math curriculum being created. Open Up Resources had several to overcome with this project. They needed a solution for providing scafolding for teachers to address students with special needs, English language learners, and those ready for more advance challenges. 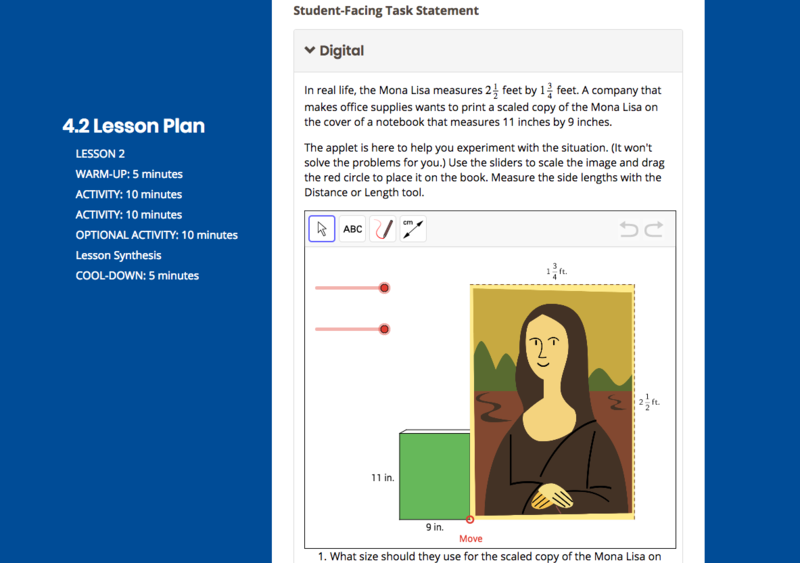 They needed a solution that could emphasize interactive and multimedia examples within the lessons, and be usable on a variety of mobile tablets. They needed a solution that made the curriculum easy for educators to use without a learning management system (LMS) or for classrooms without devices at all. All these challenges required having expertise in five types of design: instructional, graphic, interaction, product, and experience design. 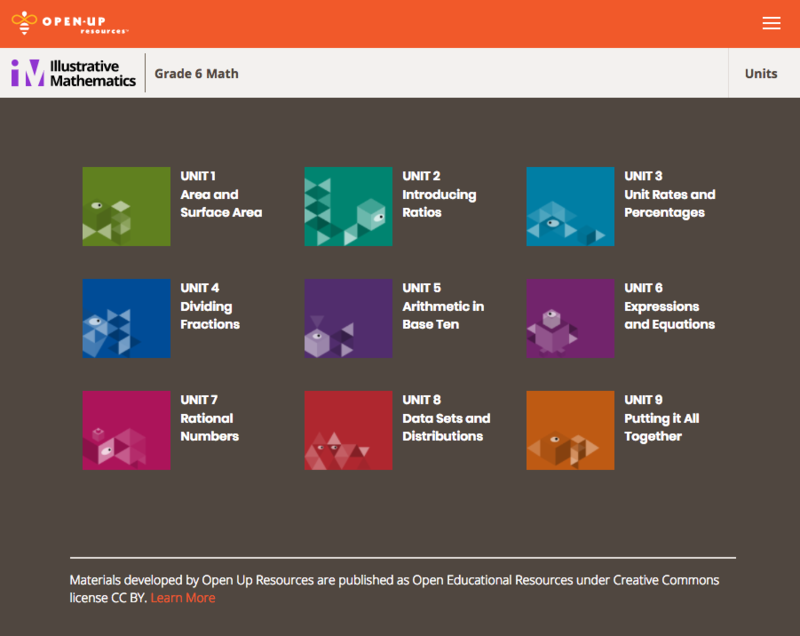 We provided a blend of expertise to collaboratively define, design, model, field test, and advise on the architecture and creation of the Common Core aligned OER math curriculum for grades 6-8 developed by Illustrative Mathematics. Our focus was on determining the best approaches to overcoming the challenges identified through research, analysis, mockups, and wireframes grounded in what’s feasible, realistic, and affordable, and guided by research-based best practices in instructional, experience, graphic, and interaction design. We came up with tailored designs for how best to represent the student-facing lessons and educator-facing back-end supporting materials. We also worked through and solved the print production problem so that Open Up Resources could offer their OER curriculum in both a print and digital edition for school districts to use. Since this initial work, we have since worked with Open Up Resources on their next project, a K-5 English Language Arts curriculum from EL Education.